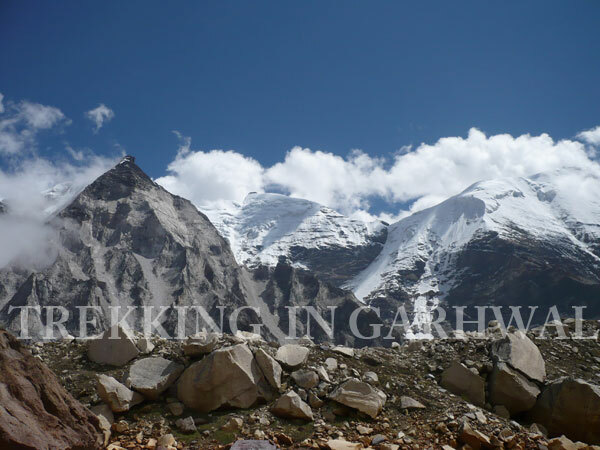 This fascinating ten day trip takes one to Gangotri , the ancient source of the holy river Ganga and onwards to one of the most picturesque high altitude lakes - theKedar tal (4912 mts)! The lake acts like an observation post for the Greater Himalayan peaks e.g. Thaleysagar (6904 mts), Brigupanth (6772 mts) and Jogin Group of peaks, and this area is used by mountaineers as a staging point for scaling the surrounding mountains. The unspoilt lake fed by the Kedar glacier and is also the life source of river Kedarganga, a tributary of Bhagirathi, considered as lord Shiva,’s contribution to Bhagirathi. One has a fair chance of witnessing a varied variety of high altitude fauna e.g. 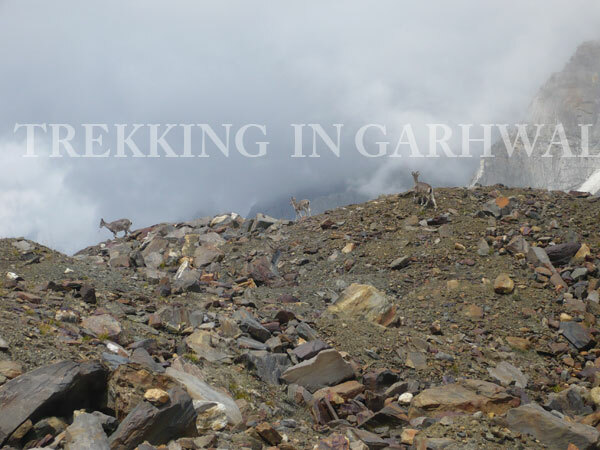 Bharal (blue sheep), Goral, Himalayan black bear and a great variety of birds, during the course of the trek. Though a bit strenuous, the rewards of going on this trek are very high indeed. Arrive Delhi where you will be met by our representatives and briefed and transferred to your hotel. Overnight in hotel. In the morning board Shatabdi Express for Haridwar at 0600 hrs. Arrive Haridwar and meet our tour Guide. One of the seven holy cities of Hinduism. The train journey takes about 5 1/2 hours. Legend has it that Vishnu's footprint was found on the bank of the holy river Ganges, giving it it's sanctity. Situated at the base of the Shivalik Hills, Haridwar is where the River Ganga (Ganges) passes through the last mountains and begins its 2,000 km journey across the plains of India, finally terminating at the the Bay of Bengal. The route of this life giving river (called Maa Ganga or Mother Ganges) is home to one of the most ancient civilizations in the world (other examples being the Indus river, and the Nile) in the Gangetic plains On arrival at Haridwar one must visit the town's 'steps' or 'Ghats' on the banks of the Ganges constructed for the convenience of the thousands who throng to the banks to offer prayers and dip in the sacred Ganges.. Haridwar is the gateway for pilgrims to the Hindu shrines at Badrinath, Kedarnath, Gangotri and Yamunotri further up in the mountains. So important are these destinations, that the desire and sacred duty of every Hindu is to visit these sacred shrines before his/ her demise, in order to attain salvation. From here it is a drive of 45 minutes that gets one to Rishikesh by road, In the evening visit the Ganga river bank for the spectacular and be a part of the Aarti ceremony -a spectacle of sights, sounds and chanting! 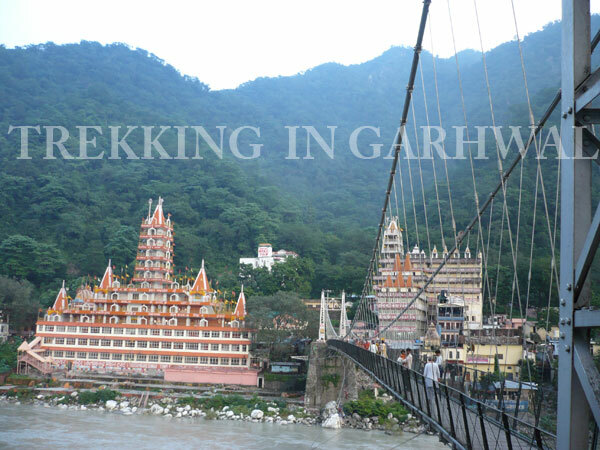 Rishikesh is well known for its scenic beauty and the spiritual experience. Flanked by the Shivalik range of the Himalayas. It is fabled that when Raibhya Rishi penanced here, God appeared by the name of "Hrishikesh" and this area thereafter came to be known as Rishikesh (Locks of the sage). Overnight in hotel. A drive takes one to Uttarkashi along the narrow Ganga and Bhagirathi valleys. The road goes past the sacred confluence of The Alaknanda and Bhagirathi rivers at Devprayag where there is a Lord Rama temple called the Raghunath Mandir visited by the great Hindu philosopher - Adi Shankaracharya in 300CE .This town is the home of the late Acharya Shri Pt. Chakradhar Joshi (a scholar in Astronomy and Astrology) who established Nakshatra Vedh Shala (an observatory) in the year 1946. This is located on a mountain called Dashrathanchal at Devprayag. The observatory is well equipped with two telescopes and many books to support research in astronomy. It also contains about 3000 manuscripts from 1677 AD onwards collected from various parts of country. Overnight in hotel at Uttarkashi. Uttarkashi is a town located in the wide Bhagirati valley, and has been a centre for learning and religion since the days of the Vedas! This sacred town has been home to some very famous sages and saints. The name of the town reflects its similarity to and location (as north of) the city of Kashi (Varanasi) Uttarkashi is an important stopover for pilgrims visiting Gangotri. This town has also emerged as an important centre for adventure sports. Gangotri is the place where the Goddess Ganga descended on Earth from Heaven, and a Temple of Goddess Ganga marks the spot where the Goddess descended to the Earth.The shrine of Gangotri is situated at an elevation of 3200 m surrounded by Deodars (Cedar) and Chir (Pines). The original temple was constructed by the Gorkha General Amar Singh Thapa. Every year people from all around the world visit this shrine. A number of Ashrams and Dharamshalas are located on the far side of the river. It is believed that Raja Bhagirath used to worship Shiva on a slab of rock known as "Bhagirath Shila" situated near the temple. Submerged in the river there is a natural Shivling where, according to mythology, Lord Shiva sat when he received the Goddess Ganga in his matted locks. 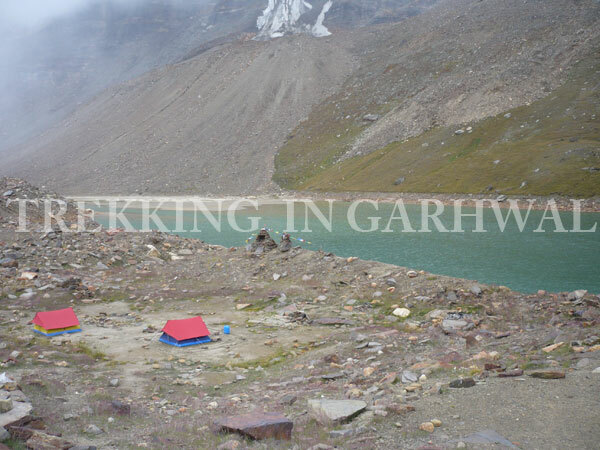 A day's trek takes one to Gomukh, the source of the mighty Ganges.. Overnight in hotel. Breakfast is followed by a continuous climb to Bhoj Kharak starts as one leaves the camp. 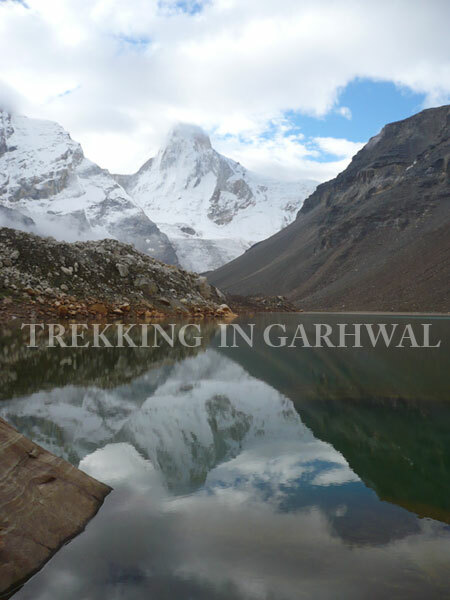 The entire trek along the Kedar Ganga river covers 8 km in all going , through fir (cedus ) and Bhoj (birch) trees. The trek though tough for the untrained legs offers some respite as one gets to see beautiful waterfalls and goes through thick Cedar and Birch (also known as Bhoja Patra) forests. A final push gets one to Bhoj Kharak- named after the Bhoja Patra trees that grow in abundance here! Arrive at Bhoj Kharak and set up camp. Enjoy photography and relish the beautiful sights of the narrow gorge and the gushing Kedar ganga - thought to be Shiva's gift to Bhagirathi! Overnight in tents! Day 07 : Kedar Kharak - Bhoj Kharak Trek 3 - 4 Hrs..
Day 08 : Bhoj Kharak - Gangotri Trek 3 - 4 Hrs. After an early breakfast, start early for Gangotri in time to witness the Ganga Arti ceremony at the Gangotri Temple. Spend the entire day exploring this fascinating town! Gangotri is one of the most sacred destinations for Hindus, and the holy water of the river Bhagirathi (Ganges) is stored in every Hindu household for religious purposes. So important is the Ganga and its water, that water from this river is put on the lips of the dying to ease their path to salvation. It is time tested that the water from the Ganges never turns putrid even if stored for years! Perform Pooja at the temple built in honour of Mother Ganga (interestingly by the feared Nepalese conqueror of the area General Amar Singh Thapa in the 18th Century) and relax in the peaceful surroundings of the gushing river. Day 09 : Gangotri- Rishikesh - Haridwar Drive 270 kms. After breakfast bid Gangotri adieu, and start the swift downhill journey to Rishikesh through the narrow Bhagirathi valley at first, and after Devprayag the Ganga valley, till Rishikesh. Check in hotel for a quick wash, before exploring this holy town on your own, and buying souvenirs! Late evening transfer by car to Haridwar, in time to board the night A/C train to Delhi. Arrive at the Railway station at Delhi, Check in into hotel, and spend the day visiting monuments and exploring Delhi. Hotel check out and transfer to the airport in time to board the flight to your destination.